We’ve been running a lot of Dungeness crab fishing tours this year in Vancouver and everyone wants my recipe for the crab we serve on the beach. So here it is. I DO NOT (sorry to yell) boil my crab, you lose all that great crab flavour to the water which is also true to a lesser degree with steaming. 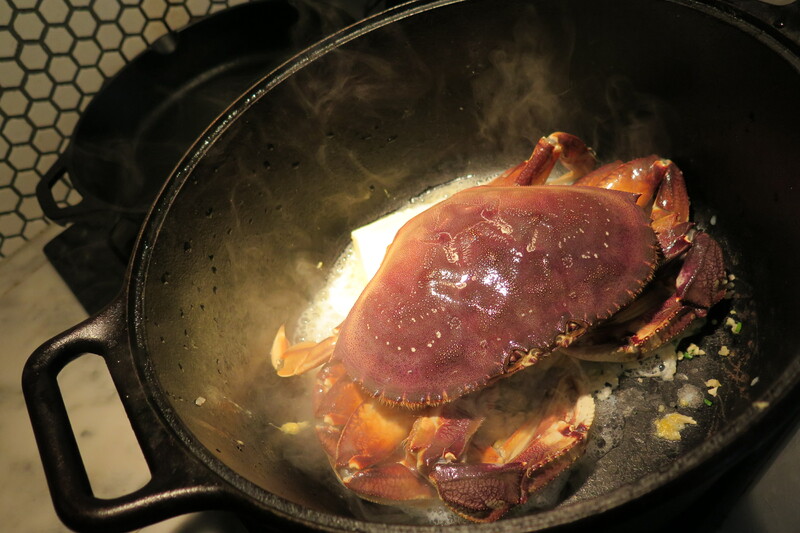 When you bake crab, you’re steaming it in it’s own juices and the crab will taste far more rich. Tip for shopping for live crab: Pinch the back leg of the crab and make sure the shell is completely hard (like rock), this will ensure that the crab has completed it’s molting stage and the meat has grown fully into the shell. If the shell is soft, there will most likely be less meat in the shell. 1. Butcher your crab, this is the hard part for most people. The easiest way to do it is to flip them on their backs and just cut them in half with a good swing of a really sharp knife. Use a hammer to the back of a knife if you don’t have a cleaver. The knife should pierce the crab between the eyes. Pull the carapice (main top shell) off from the legs, the crab may still twitch a bit (yep, sorry!). Remove the gills which will be grayish long triangular pieces attached to the body. The yellowish organ in the shell and belly is the ‘crab butter’ which is a delicacy. I find it a bit bitter, but it’s important to include that in the bake for flavour even if you aren’t going to eat it. Now that you’ve butchered the crab, I usually cut the legs into manageable pieces or crack them a bit with a hammer to make it easier to eat later. Put everything into a covered oven dish including all the other ingredients. 2. Bake at 420F for 20 minutes (You can also do this on the stove top in a pot with lid on medium heat, check the meat at 15 min). 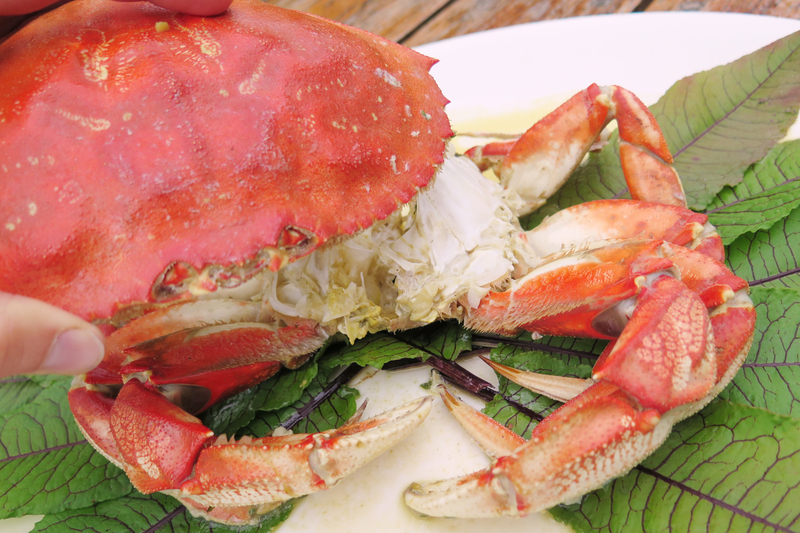 You know the crab is cooked when the shell turns bright red and the meat is white (not translucent). 3. Serve crab with the crabby jus poured into each guests bowl – it’s great to soak the crab meat in as you removed it from the shell. mmmmm my mouth is watering and I am going out to buy a crab at the Crab Shack here in North Van. 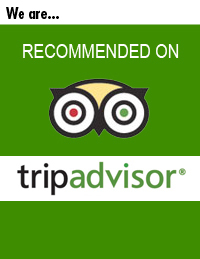 Thank you Chef Robin for all your great suggestions. We love your help in living local. This looks amazing! Never thought about it. Thanks for the tips, how to cook and the recipe, I love crab! 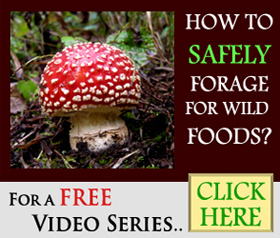 Next Entry: Finding Morels in BC – Like pirate booty!